Lisa Congdon — Artist, illustrator, hand letterer, world traveler, author, teacher & social media slayer. Tickets are free, but seats are limited. Priority will be given to advance ticket holders. Now in its second season, ScaleHouse Voices is a series of talks with local and visiting artists and scholars, exploring ideas and techniques, practice and process, creativity and culture. We’re SO EXCITED to launch the 2019 series on Tuesday, February 19 with Lisa Congdon—artist, illustrator, hand letterer, world traveler, author, teacher & social media slayer. Lisa didn’t begin drawing or painting until she experienced a life crisis in her early thirties. But once she picked up a paintbrush, she was hooked. Eventually, she found her way not only into the worlds of art and illustration, client work, and publishing, but also into the lives of hundreds of thousands of people through sharing her work, her experiences as a working creative, and her messages of hope through social media. Join us for an inspiring evening with Lisa as she talks about her journey into a creative life—and the power that art has to change all of us for the better. Tickets are free and open to the public. 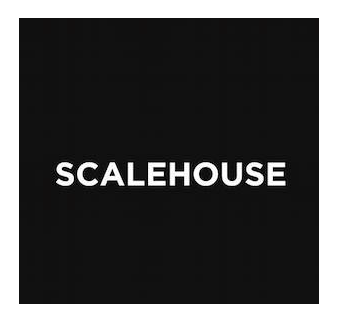 To advance our mission, we will kindly accept donations and encourage you to become a member of ScaleHouse. Fine artist, illustrator and author Lisa Congdon is best known for her colorful paintings and hand lettering. She works for clients around the world including MoMA, REI, Harvard University, Martha Stewart Living, Chronicle Books, and Random House Publishing, among many others. She is the author of seven books, including the starving-artist-myth-smashing Art Inc: The Essential Guide to Building Your Career as an Artist, and illustrated books The Joy of Swimming, Fortune Favors the Brave, Whatever You Are, Be a Good One, Twenty Ways to Draw a Tulip and A Collection a Day. Her latest book, A Glorious Freedom: Older Women Leading Extraordinary Lives, was released by Chronicle Books in October 2017. She was named one of 40 Women Over 40 to Watch in 2015 and she is featured in the 2017 book, 200 Women Who Will Change the Way you See the World. She lives and works in Portland, Oregon. OSU-Cascades provides students with personalized instruction and OSU's excellence in both academics and innovative research, as well as the lifelong advantages of a premier research university. OSU-Cascades is the only baccalaureate and graduate degree-granting institution based in Central Oregon. OSU-Cascades expanded to a four-year university when it welcomed its first freshman class in fall 2015.